Happy (belated) new year from all of us at the OpenGov Hub! After spending much of January reflecting, strategizing, and planning for the year ahead, we just had to share with all of you what we’ve been up to. 1. Creating a more concerted focus on building and deepening our collaborative community. As you may know, we published our first strategy last summer to help guide us in fulfilling some of the untapped collaborative potential in our community of almost 40 member organizations. Then last fall, we convened a short-term Collaboration Committee of diverse individuals from across the Hub (or Hubbers, as we like to call them) to help create an action plan on how to implement this strategy. Together, we came up with our 2017 Collaboration Toolkit, which we shared in an open house with all of our OpenGov Hub members last month. 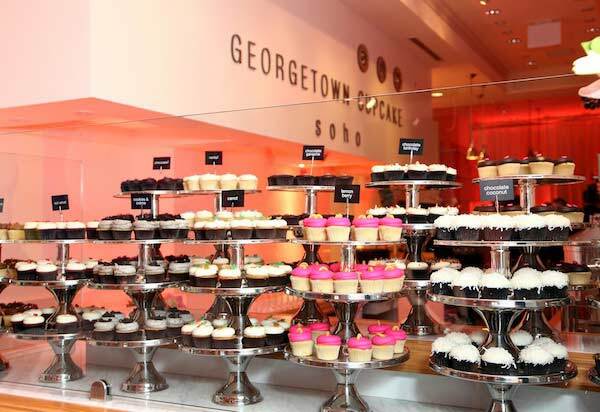 There may also have been Georgetown Cupcakes involved. This toolkit includes 20+ activities we’ve identified as high-value ways to activate our network and deepen community - through building relationships, helping our members exchange ideas and solve shared problems, and finally helping our members innovate to try, fail, learn, and adapt to increase the impact of their work. Working in the opengov field is a complex and ever changing task, so we are actively seeking ways to do our work smarter and better. Some activities our community is excited about include: a variety of personal and organizational development workshops, virtual exchanges with our global affiliate hubs, and our beloved Waffle Wednesdays (yes, there are real perks to working at the Hub ;). And, of course, we’ll continue to regularly provide high-quality public events to help convene and inform our broader community. But I’d like to shine a quick spotlight on two specific tools we’ve identified as key structured ways to facilitate collaboration around common problems and goals our members work on. These tools are our Working Groups and our Skillshare Guilds. These are essentially two sides of the same coin: Working Groups are bringing people together in the same room based on topics they care about (the 4 specific themes identified in the strategy), whereas Skillshare Guilds are bringing together members who want to focus on improving certain functional areas or skill sets for their organizations: like Research; Communications; and Monitoring, Evaluation, and Innovation. Though many of the Collaboration Toolkit activities are still in the early stages, we’re excited about the benefits they’ve already started to produce. Members are tackling communication problems, creating new ways to track innovations, and creating usable products to tackle the toughest opengov issues. We definitely will keep you up to date on what the results of these collaborations are. These days at the Hub we’re putting our collaborative words into action, and we’re offering new ways for folks to build relationships across diverse yet like-minded organizations and to work together to better tackle pressing governance problems. The OpenGov Hub has been completely full over the last several months, and we continue to see growing interest in membership. So we’re developing new ways to continue to broaden our network, including for organizations who might only need occasional workspace or none at all but still want to get connected to all our open government movers and shakers and to have access to members-only programs. We’re also looking to establish some strategic partnerships this year - perhaps with other themed shared spaces and networks, but also with local community groups, trainers, and more. Be on the lookout or in touch if you might be interested in partnering with us, exploring a Virtual Membership, or joining our community in another way. Just as we’re ramping up our Hub programs, we’re also excited to unveil our new communications series that will highlight the work of our members and our larger community. The Know Your Hubber series, which will highlight the amazing people who make up our community. Besides these monthly pieces, we are actively creating new content, new partnerships, and new ways to engage with all of the communities that care about opengov issues and even those that don't - yet. We’re coming together as a community now more than ever to figure out our role in this new era - not just under the new administration here in the US, but in a world where there are growing threats to open societies. As The Economist put it, the new global, political divide is no longer between left and right but between open and closed. But we believe the future is open. We know we have a vital role to play - in protecting and preserving open government wins here in the US and around the world. Our members are leaders in promoting transparency, fighting for accountability, and deepening citizen engagement, and the expertise of our community will be vital in creating an open future. We understand that with the current challenges of opengov and to have a bigger impact that we are going to have to continually be adapting, connecting with our networks, and tapping into the potential of collaborative communities. We want to share our expertise and lessons learned with you, so that we can build on top of each other’s work. At the same time, please let us know if you have suggestions or ideas about how we might do any of this better, or if you would like to get involved in any way. We’re eager to continue fostering a community that advances the global open government movement. Though we’re focusing more these days on internally strengthening our network, we can’t accomplish our end goal without a huge variety of partners all along the way. So let’s start working together! We look forward to a new year of challenging yet vital work. Let’s tackle it together, not alone, and reach new levels of collaboration for more transparent, accountable, and participatory governments around the world.